To be honest, the entire event caught us by surprise. Both the quality of the comic books that attendees brought and the quantity of high end collectors was insane. Crazy deals and trades happen all the time, but most of the time they’re private deals behind closed doors. Here at Shortboxed we wanted to throw an event for the common collectors, a place that would be inviting to everyone. 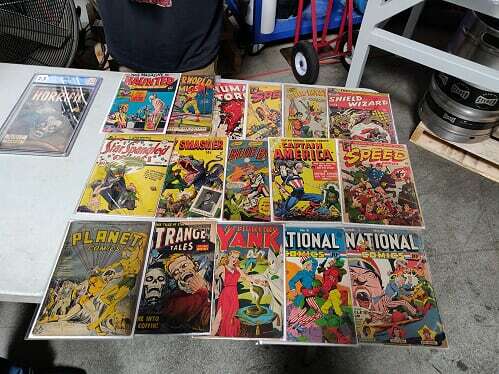 We love collecting all genres of comic books, but our personal collections mostly consist of rare Golden Age comic books. While promoting the event we never asked anyone to bring anything crazy – they just did, surely trying to one-up each other. Preview Night was not a traditional comic con. It was simply a safe place for comic book collectors (and dealers) to trade or buy comics from each other, completely free and open to anyone. 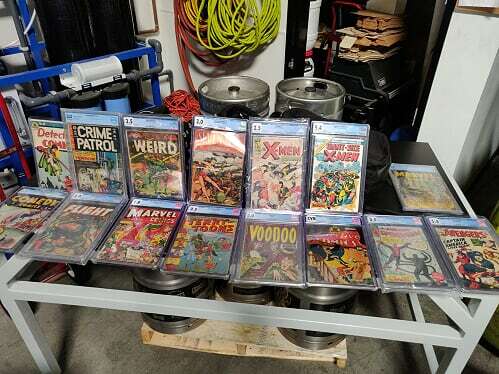 Each attendee was asked to bring no more than 2 short boxes of comic books, and that may not seem like much, but that forced them to bring their best books to sell or trade. 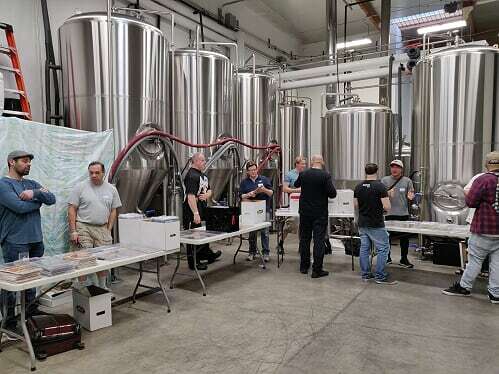 Collectors from all over the United States and Canada coalesced into a packed brewery to buy, sell and trade with each other. This couldn’t have been done without legendary dealer, Terry O’Neil, and his famous Cal Comic Con. All these collectors flew in for that main event. 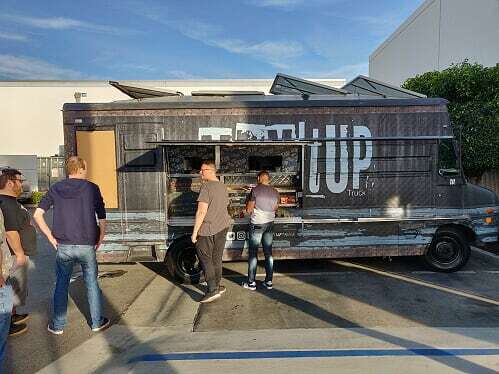 We’re just happy we were able to help bring the collecting community together. 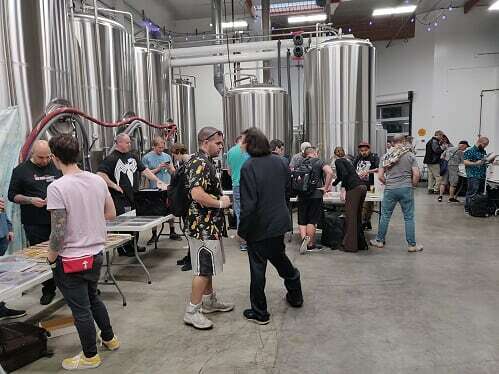 As a collector, I believe we need more of these events to keep the hobby healthy and fun! The CGC Boards are still the de facto forum for comic book collectors, but a little app called Instagram has created a new way to interact with comic book collectors. The simplicity of the photo-sharing app allows users to casually browse, chat and show off their collection. More than 60% of the Preview Night attendees are part of the Instagram, and the event could not have been possible without the #igcomicfamily being so involved. 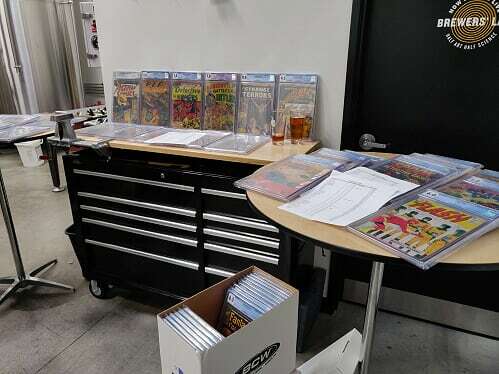 The power of the comic book collecting community really shined through Preview Night, with word of the event spreading like wildfire through the CGC boards and Instagram – so thank you to everyone who posted, shared or attended the event! We hope you had as much fun as we did.